Many people think getting ripped and getting lean are the same thing, when in reality they’re not. Getting lean implies losing fat, which isn’t easy to do because of the willpower involved. Having discipline over your body in not eating junk food is pretty hard, but getting ripped is a whole different degree of difficult. Not only do you have to be disciplined as far as what you eat when you’re looking to get ripped, but you have to put in the time, effort and dedication at the gym as well. When you are looking to lose fat or get lean, there are many different diets you can use to get there, as long as you’re putting yourself at a caloric deficit. When you want to get ripped however you don’t want to be at a caloric deficit otherwise your muscles aren’t growing as much as they possibly good given the effort you put in. Getting ripped requires a lot more time, dedication and willpower to get there, and knowing what to do at the gym will definitely help you get there. 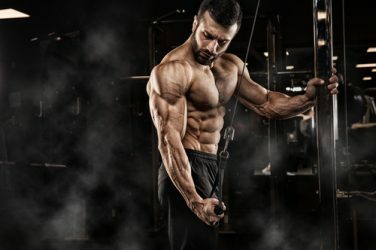 Getting ripped means putting on muscle while still maintaining that lean athletic physique and there is no better way to do both than to do exercises with multiple movements. 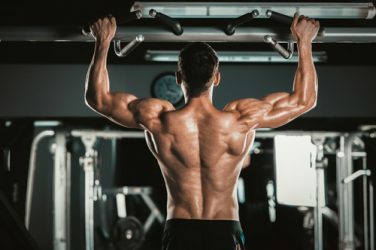 This is not only going to work multiple muscle groups simultaneously so that you are gaining as much muscle overall as you can from the exercise, but are also will help you lose weight and stay lean as well. Stick to exercises like sqauts, deadlifts, lunges, military press, pushups and pullups which all use multiple muscle groups. When it comes to getting ripped, you are trying to maintain that delicate balance of putting on muscle while burning fat at the same time. Most people think that the best way to go about this is to do high repetition, low weight sets to boost their endurance. Most people think that more repetitions equals more calories burned which isn’t necessarily true especially if you are lifting less weight. Lifting less weight during exercise means less work done on those muscles, and less growth as a result. Increase the amount of weight you are lifting to accelerate your muscle growth and get ripped faster as a result. Since you are looking to get ripped, we are going to want to restrict our diet, and that includes cutting calories to keep that body fat down. This is fine except that you are still going to want to exercise to continue to grow our muscle as well if you want to get ripped. To get the best of both worlds, you are going to want to squeeze in more workouts in to your routine as well. The best way to do this is to do exercises in between sets when you would normally be resting anyway. This allows you to keep your heart rate up which helps you to burn more fat, and also allows you to save time because in doing so your workout doesn’t take any longer to complete. 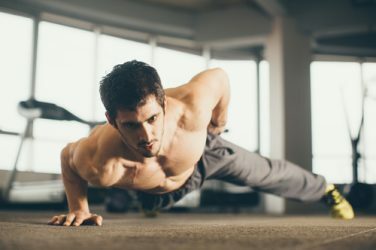 Working out in this method is not only going to improve your strength, but since you have less downtime it will improve your cardiovascular endurance as well. You are looking to get ripped so you need to effectively lose fat, and one of the best ways to do that is through cardio. Cardio is something many people dread because it consumes most of the time they use at the gym and at the same time and be extremely boring. You can’t eliminate cardio altogether unfortunately but you can modify your cardio routine to make it more fun and take up less of your time. HIIT or high intensity interval training is a relatively new but effective method in losing fat. HIIT allows you to go all out during the exercise which helps you burn more calories and in a short period of time, the best of both worlds. Keep in mind that since you are cutting calories to keep your body fat down, you are not always going to want to use HIIT as your cardio exercise, as it requires a lot of energy. Substitute HIIT for your regular cardio once a week.